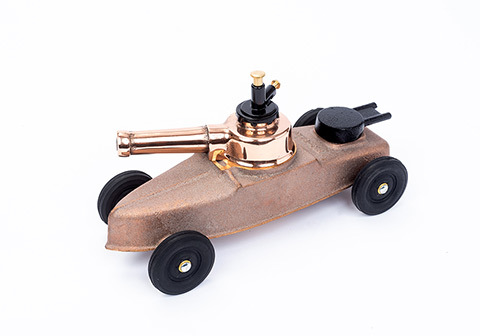 The Vintage Artillery Toy that Really Works & is Safe! 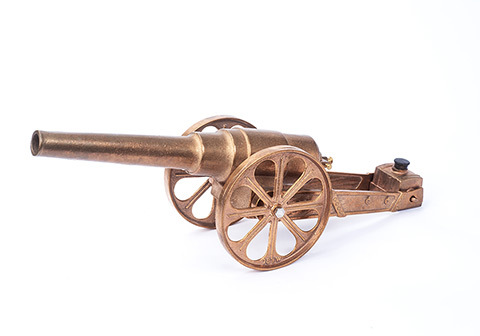 Big-Bang® Cannons produce a realistic FLASH and BANG. 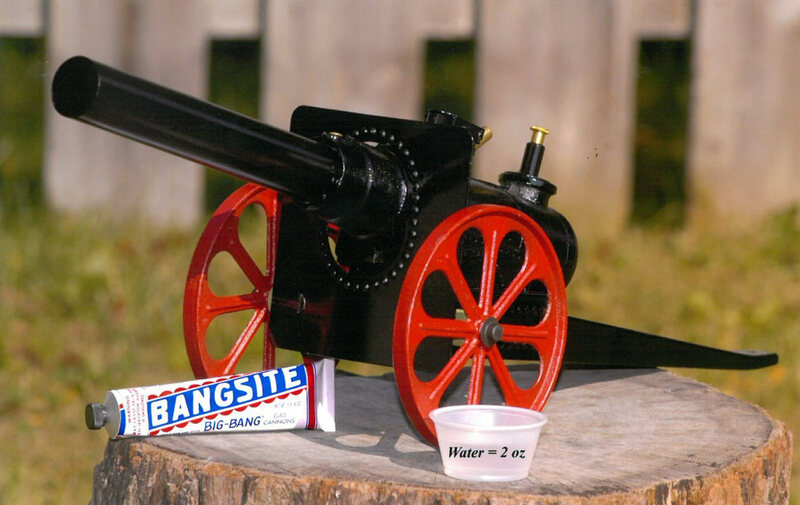 A mixture of gas (Bangsite® and water), fresh air and a spark produce the BANG. 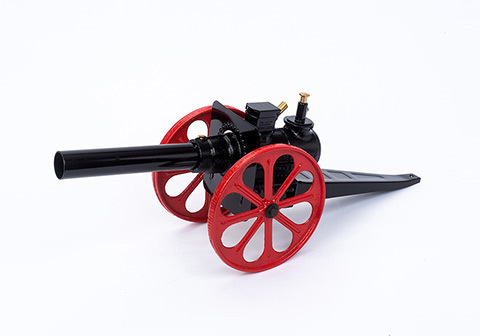 Every time before reloading, remove the Ignitor and blow into the Ignitor-opening so as to replace the burned gas from the last shot with fresh air for the next shot. 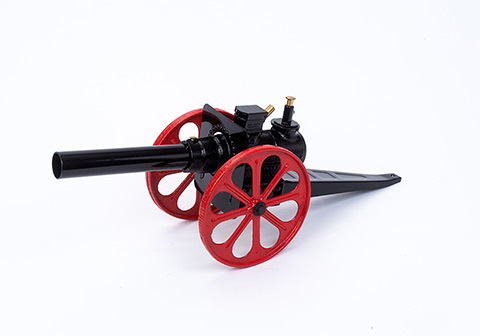 Wash the used Bangsite® (lime sediment) out of the water chamber after firing session. 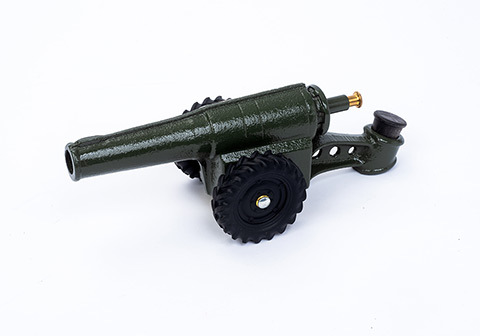 This unique American made product has made backyard celebrations a blast for generations of customers since its patented invention in the Lehigh University Department of Physics. 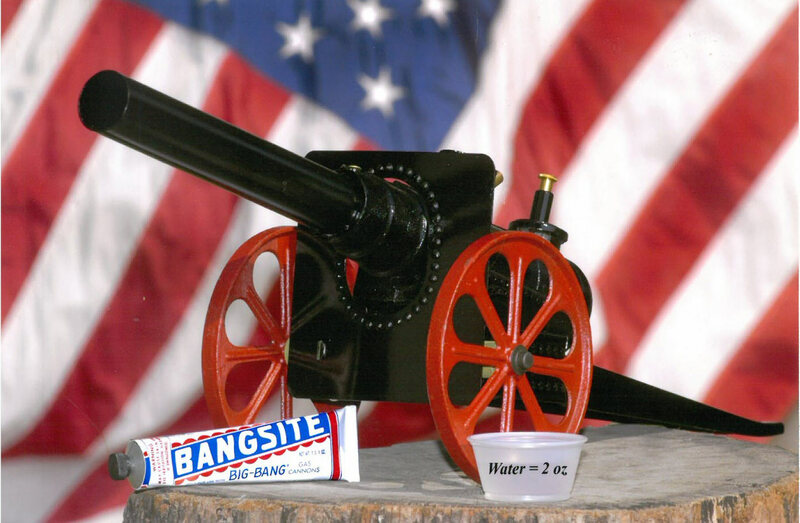 In response to numerous consumer fireworks injuries, we started manufacturing Big-Bang® Cannons in 1912 as Gas Cannon Company. 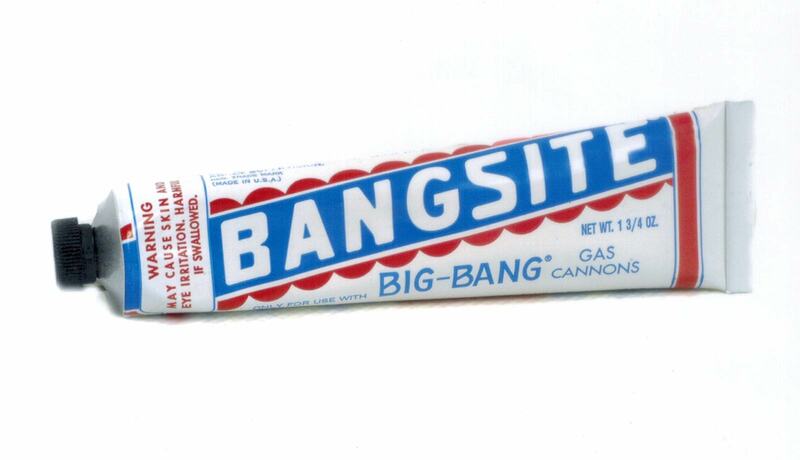 "BIG-BANG" and "BANGSITE" are registered trademarks. 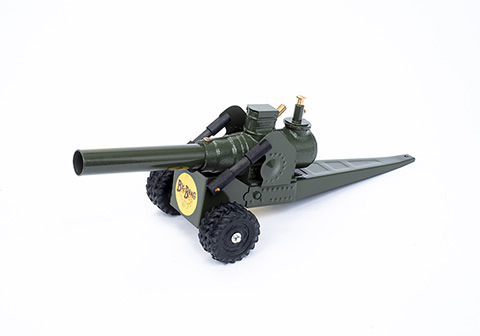 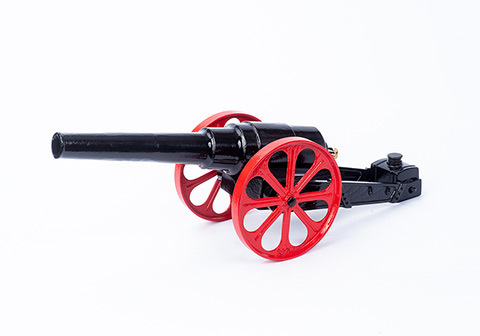 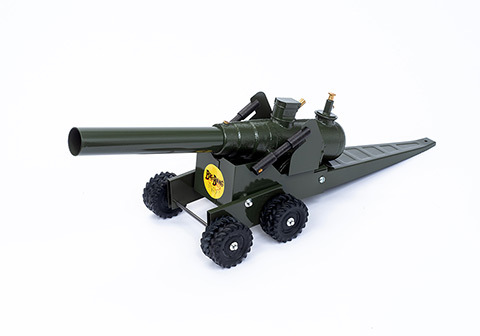 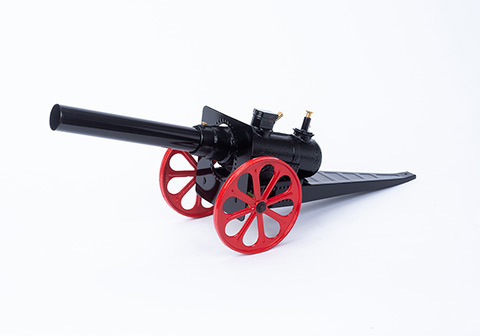 The appeal of a Big-Bang® Cannon is simple - a scale-model toy cannon that makes a loud bang and flash, but has no recoil or kick. 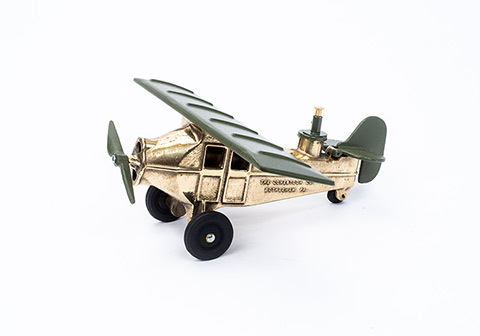 They've been a favorite from generation to generation. 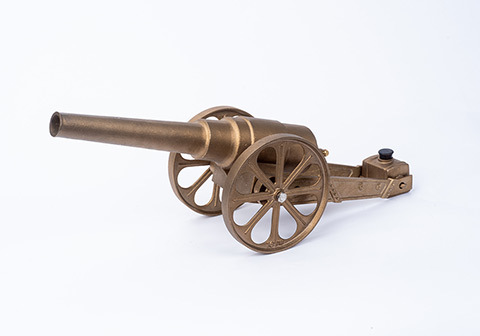 They're a safe alternative to consumer fireworks...a source of fun at all outdoor gatherings...a display piece and collector's item. 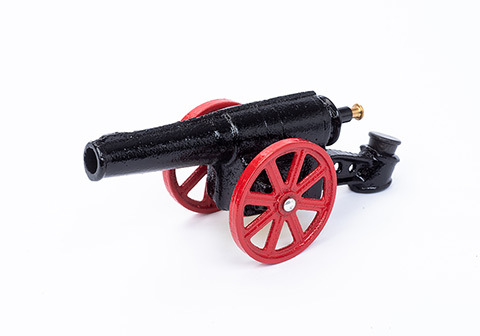 Great for military games, celebrating and saluting. 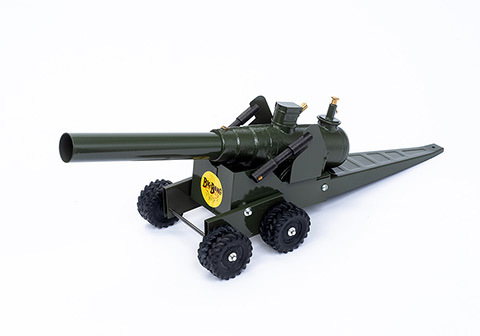 Parents approve. 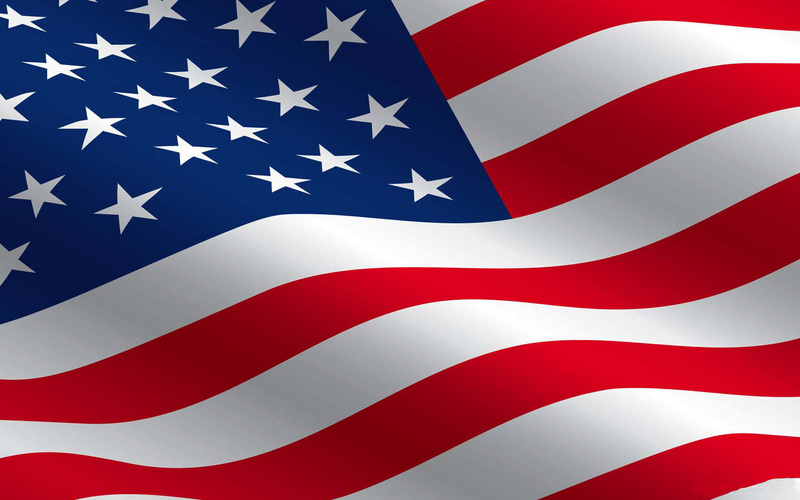 Episodes: "California Streaming" and "Grin and Bear It"